As we explained in our last blog, measles are spreading across the United States at a rapid pace. In the first three months of 2019, the number of measles cases have already eclipsed (per NBC News) the total number of cases in 2018. One of the states that has been flagged as an area with significant outbreaks is California, where 16 cases have now been reported. The outbreaks are confusing to many who believe that measles were virtually a non-threat and nearly eradicated in the U.S. So why are measles outbreaks happening in California and other parts of the country? 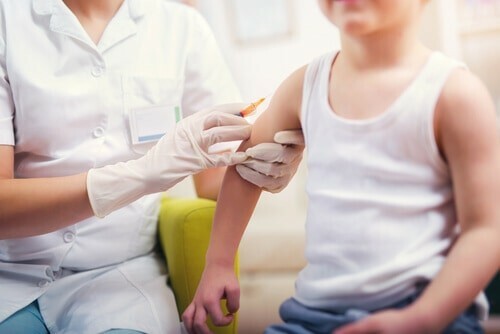 Why is it important to get updated vaccinations for your children? In the 1990s, measles were virtually eradicated as pediatric vaccinations reached an all-time in the United States. Parents for the most part were keeping up with their child’s vaccination recommended by doctors. Globally, measles were targeted by the U.N with initiatives aimed at lowering measles. However, in recent years a mix of two factors (per the New York Times reporting) has led to a rise in measles: poorer health systems in other countries and more adamant anti-vaxxing campaigns. Simply put, some countries simply don’t have the resources to vaccinate their children every year. When people travel to these countries, they have a higher chance of getting the disease. The ability for measles to travel internationally, combined with an increase in parents that refuse to vaccinate their children, has led to a surge in measles cases across the U.S and globe. Many of these states have been affected by many anti-vaxxing campaigns, where parents firmly believe vaccines cause autism or other health detriments on their children. However, leading medical experts have disproved this link time and time again. For example, Autism Speaks, the nation’s leading autism advocacy organization, explains that autism is in no way linked to vaccines. The dangerous misinformation spread by anti-vaxxing campaigns has led the World Health Organization to flag anti-vaxxers as a top-10 global health threat. Consult with your local medical providers and public health departments to learn more about local measles threats in your community.